Back in February of this year, Twitch launched Communities. Upon launch, there were a lot of mixed feelings about this feature. Many creative casters felt the removal of the hashtag system was a step backwards. The regulations surrounding communities were almost non-existent and communities were popping up under ridiculously redundant genres, team names, etc. Twitch has announced a major (and positive) change to the way communities work based on community feedback. Broadcasters now have the option to stream under multiple communities at the same time! This allows you to not only better categorize your broadcast but perhaps, more importantly, reach more viewers. Adding communities is still the same process as before. From your dashboard just start searching for a community to add. Clicking on the name adds it to a list just under the search field. Removing a community is as simple as clicking the white ‘x’. You can search and add up to three communities at a time. If you’re a creative caster, be sure to also set your game to “Creative” so you’re also listed there. Community leaders and moderators still maintain the ability to remove broadcasters from their communities if they’re not following the rules which include miscategorization. 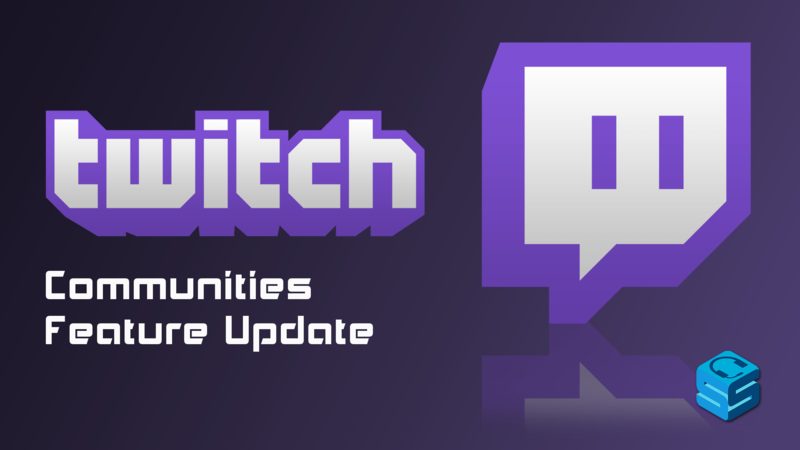 If you have feedback or ideas on how else to improve the Communities feature, you can do so directly through Twitch’s product forum. Here you can not only suggest your own improvements but also vote up existing suggestions.